It seems that Rosh HaShanah (the Jewish New Year) snuck up on me. It is less than a month away and here I am, not having posted any honey, apple, or pomegranate recipes! While I frantically work to remedy that, I present a new type of post to you – shopping and housewares! Honey pots are generally a pleasant thing to have and at the HHD (as I like to call the High Holy Days) they are even lovelier. There’s nothing quite as festive as a platter of apples and honey. Nice looking – utilitarian is fine, but these should never be unsightly. Lid – Left uncovered, honey will attract the wrong kind of visitor. Space for spoon or honey stick – to try to keep stickiness to a minimum. 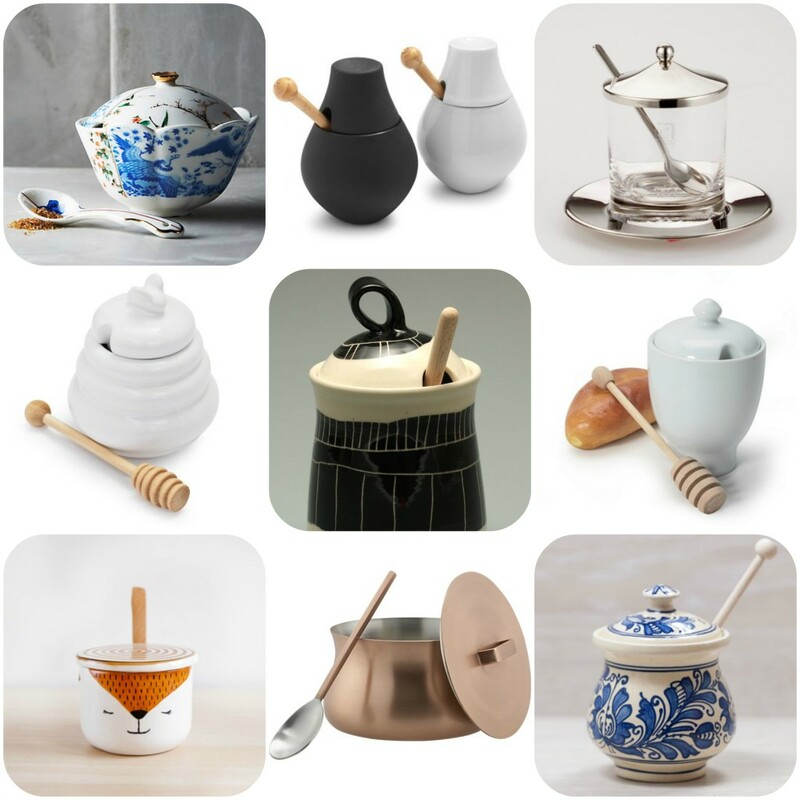 This is my round up of honey pots (or things that could be used as a honey pot) from around the internet and my first foray into collage making. I’ll improve, I promise! Stay tuned for recipes and another round up early next week of more budget honey pot options and other useful holiday serve ware!